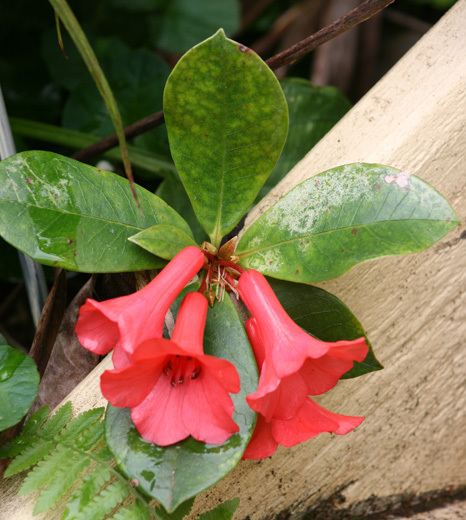 Native Rhododendron – Flowering in my garden!! Tucked in behind my front steps I have just found these spectacular Native Rhododendron flowers. 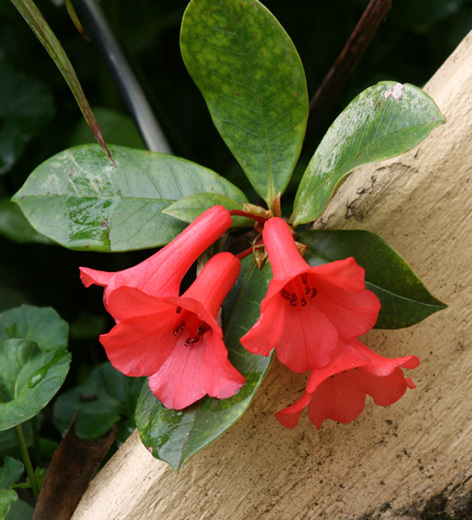 These flowers are a deep pinky red and about 10cm in length. Every year I wait for these flowers to bloom and am always impressed when they finally appear! 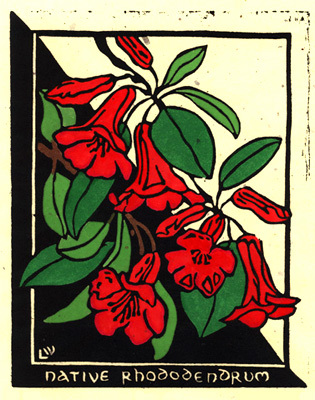 I have previously designed a linocut using native rhododenrons but have revisited them for some new linocut designs.